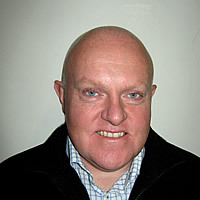 Kenny has an extensive background in training from his time spent in the Royal Air Force. Serving for 27 years in the RAF as a transport specialist and throughout the world as an Operator of a myriad of specialist vehicles, Trainer and Manager. He conducted training on various types of specialist equipment from Cat B to C&E, and specialist airfield associated vehicles. He comes to us from General and Bulk Haulage background with a great deal of experience in the transport industry, both military and civilian, utilising numerous types of specialist trailers. Gary joins us from an Aberdeen based training company but also has a background in the military although not in driving capacity, serving his time as a weapons technician. 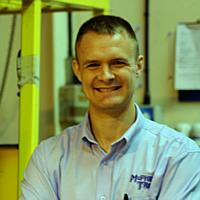 Both within the military, and since leaving the Service, Gary has amassed a vast range of skills and knowledge in the mechanical handling equipment environment. This includes a range of lift truck types, lorry mounted cranes and mechanical shovels. Gary joins us at a time when we are seeking to expand this area of our business. 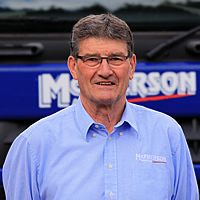 Known to one and all as Jock, he has a long history with the transport world largely as a Traffic Manager for McPherson Ltd. Now in semi-retirement Jock runs the advanced driver courses in the local area and uses his driver trainer experience to support our B+E training programme. With Jock’s vast experience of the transport industry he can relate the training to real world situations bringing a sense of realism to his training.